Organic Sales: Overall sales are over 50% organic. Produce sales are 100% organic. 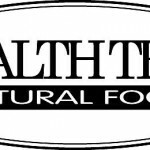 The store informs manufacturers of its preference for all organic and non-GMO products. Buyers prioritize purchasing from vendors that are organic and non-GMO. The store works with companies that are in transition to removing suspect ingredients by contacting manufacturers when questionable ingredients are identified. In the case of popular store items, the store will negotiate with manufacturers to try to find alternatives to suspect ingredients. Chips and snacks have been discontinued because of GMO concerns. In cases where ingredients are being negotiated, products may remain in the store, but no new orders are placed for those products unless the manufacturer is willing to transition to non-GMO ingredients. The store uses non-GMO tags and posts a non-GMO poster on the front door. You seem to be light years ahead of WFM who claims to be labeling GMO ingredients in about 5 years. It sounds sooooo silly!